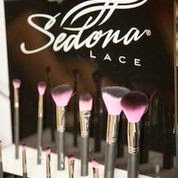 Home sedona lace PhamExpo Recap and Pics! I wanted to share with you some pictures of my awesome experience at PhamExpo last weekend in Pasadena. It was an awesome time and I can't wait for the next show with Sedona Lace. Check it out! 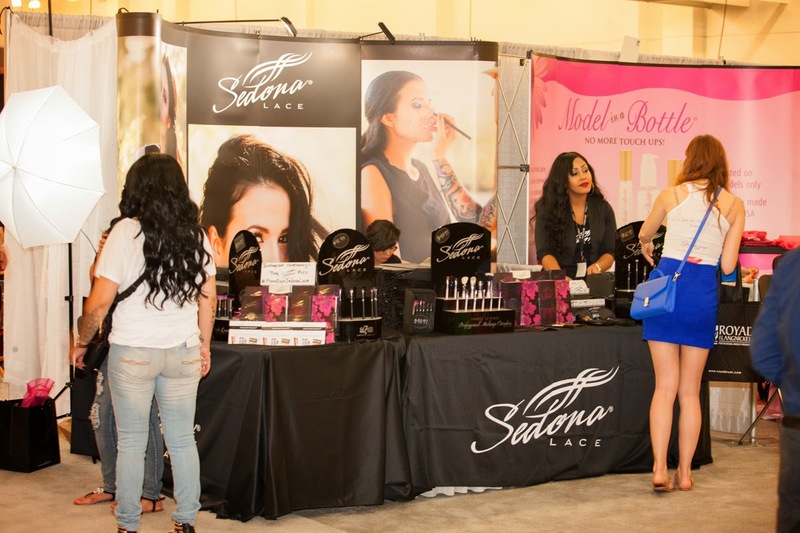 This was Sedona Lace's first trade show, and my first time at PhamExpo, ahh so exciting! First off, how amazing does the Sedona Lace booth look? I loved our backdrop and displays. I was managing the booth that weekend but was able to walk around, shop and get glimpses of fabulousless like this - check out my girl Suerny from Sedona Lace with these two gorgeous guys. And here are our two lovely Faces of Sedona Lace Grace from PrettyLilMzGrace and Adriana from AdrianaLunaMakeup. 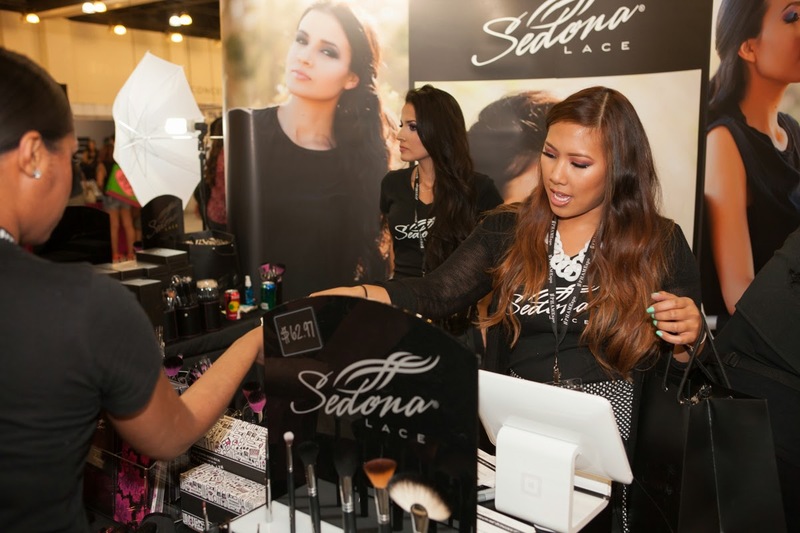 Part of my job at the Sedona Lace booth was doing a makeup demo on Adriana. I used all Sedona Lace products to get this bright pink and purple look. And here is the fabulous crew at the Sedona Lace booth. Love these girls. From left to right: Suerny from Sedona Lace, Me, Adriana, Christina, Grace, Gina (and not picture Alanee). 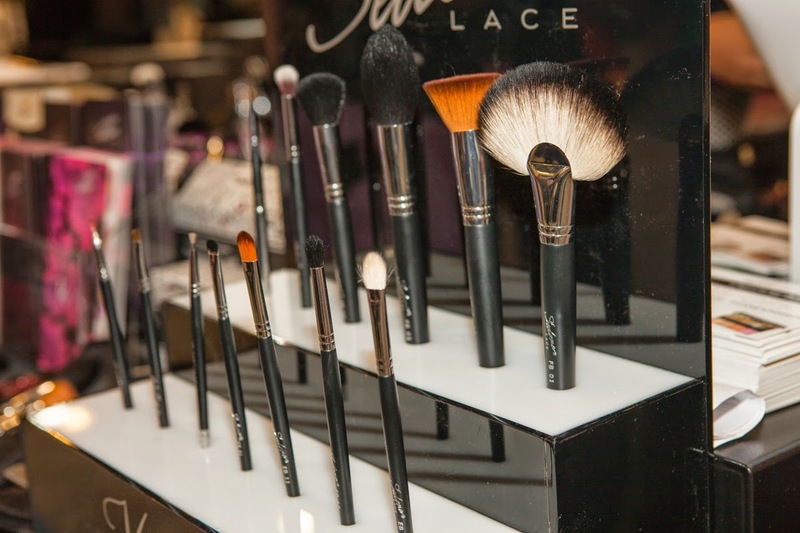 At the booth, we retailed all brushes, the travel tote, eyeshadow primer, brush belts and cups from 30%-50% off! Here I am checking out customers! Hope you guys enjoyed! I have a PhamExpo makeup haul coming soon, stay tuned!